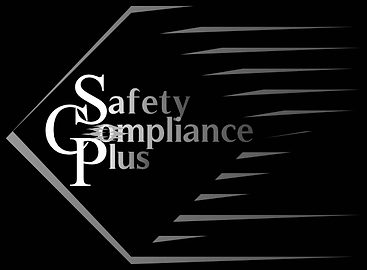 I work with Safety Compliance Plus to keep Carriers/Truckers on the road without worrying about DOT looking over their shoulder. All of the comments here are great advice to take. However, you mentioned points and violations, so the following comments will be based off the FMCSA website that collects such data for Carriers and DOT. A speeding ticket ranging from 6-10 miles over the speed limit will generate 4 points against you and the Carrier you work for. A speeding ticket 15 mph or over will generate 10 points. For the driver, these points will remain for 36 months from the time of incident. A Carrier can attempt removing these points using the Data Q within that website, but will have to contend with the officer that gave the ticket and therefore had better have reasonable cause for this violation to be removed or no changes will be made. By December 18, 2017, a mandate will be in effect that paper logs will no longer be acceptable unless the ELD in use has become defective, in which case, having a set of paper logs is mandatory to be used and should always be in your vehicle just in case. The others are correct in thinking unplugging your device could be cause for termination. Carriers must have documentation saying you are where you say you are or they can be fined and have their status degraded. This can be determined when going through a DOT investigation, so any Carrier with a good sense will be keeping track of this. It's best to just follow the rules if you want a career in this field. Taking awhile for my background check. Previous Employers have a month to respond to background checks. The FMCSA requires that a list of 10 years previous employment be listed for CDL drivers. Of the 10 years, any employment history within 3 years of the present date must be accountable by the prospective employer, whether the previous employer responds or not. Any Carrier is responsible to document their background checks and present them to DOT upon request. Any previous employer that fails to respond within that month can be held accountable by DOT. All in all, a prospective employer cannot perform background checks until you are hired in the first place and have signed all the legal documents of employment, otherwise its an invasion of privacy and legal action can be taken. Hello, Failing a drug test for a retailer shouldn't be an much of an issue as it was more than likely Non-DOT. However, if your prospective employer asks that retailer during their required background checks, this retailer can and probably will tell them the reason. With that said, Carriers are most concerned with driving under the influence at a federal level. Failed random tests can be audited by DOT and therefore, most Carriers recognize that hiring drivers that have failed a drug test is illegal without that driver going through a SAP program. Now, a Carrier may not be aware of the positive test, but once informed during a background test, they are now obligated to either decline the prospective driver or sponsor that driver for a SAP Program. In the year of 2017, all CDL Positive Drug Tests will be recorded 49 C.F.R. § 382 within Clearinghouse. The only way to move forward with a good conscience, is to enter a SAP program, and it's best to try with your current employer as prospective employers may not consider sponsoring you. I work for a 3rd party that does orientation paperwork among other things for motor carriers. This does not show up in any background services. However, any carrier that knows what they're doing will have a sort of fail safe if the prospective employee leaves before their 90 day (or so) probation period is complete. Orientation costs money in more places than you may know. Background checks, drug screenings, etc... If you sign their orientation paperwork and they have something like this, you may be required to pay for said costs if you leave before the probation period is over. I actually run background checks for motor carriers, among other things, but I can tell you, as a CDL driver, you need to have 10 years past employment experience listed as per FMCSA regulations, even if there are student years or unemployment. With that said, many employers go out of business and cannot be contacted. But, motor carriers are required to put in the effort, even paying up to 25$ simply to get an employment verification to a job that has nothing to do with trucking. If this is not done, DOT can fine the motor carriers failing to do so. But to answer your question, whether or not employment verification is found, all DOT wants is proof that these attempts were made. The carrier may take interest if it appears that you are not being truthful with your background, but it all really comes down to honesty. If the carrier really takes interest, then W-2's are a definite proof of employment that they cannot deny. Getting into a SAP program is the best way to get a job after getting these results. Some companies will put you through it if you fail a test, but if they have not, it would be best to seek this program yourself. Of course failing a test will deter motor vehicle carriers from hiring you, but if you are in the SAP program it will not be an automatic refusal to hire. Any carrier with a good sense of compliance will be able to find out if you have failed after doing background checks. If this is hidden from them from the start, you can understand why they may decide to let you go on your own way after finding out. After entering the SAP program, I've seen many drivers hired. Another deterrent may be that while in the SAP program that last for a few years, they will have to have you tested 1-2 times a month for awhile. I run background checks and work with compliance for motor carriers. On your application, as a CDL driver, you are required by DOT to have 10 years of employment listed. This includes unemployment and student years. 10 Years has to be accounted for. When MVR's are pulled, this is associated with your state ID. Some states allow 7 years of driving background to be viewed and others allow only 3. Being unemployed or a student for any of the 10 years you list does not seem to be much of a deterrent for most companies, nor a speeding ticket several years in the past. I have, however, seen a deterrent due to lying about your past employment as (depending on what backgrounds are pulled) your past employers can be listed from other sources fairly easily. The percentage may be lower, but good truckers are actually in high demand right now. Working compliance for Carriers in the U.S., we are told over and over that good drivers are hard to find and many are filtering through them very quickly. There are drivers that stay for years, and there are drivers that only last a month whether by quitting or being terminated. Believe it or not, many carriers are so desperate for good reliable drivers that they look past MVR reports in hopes to train a driver properly and find that golden driver with a rough past. Of course, a clean record is preferable, but this just shows you in demand drivers are. Drug Testing & Better Companies! I wish I knew the answer about those particular carriers, but I do know there are quite a few of the larger fleet carriers that do require the follicle test. This is actually being talked about being implemented as a DOT requirement in the year 2017 for all carriers.